Kickstart your entrepreneurial dream at Upstart, a relaxed, up and coming plug ‘n’ play in Whitefield. Dotted with well-known corporate giants and exciting, new startups, the Whitefield landscape is a breeding ground for young entrepreneurs. If you are a freelancer or have just about got your enterprise off the ‘start’ line, then, this neighbourhood is great to be in the thick of things. 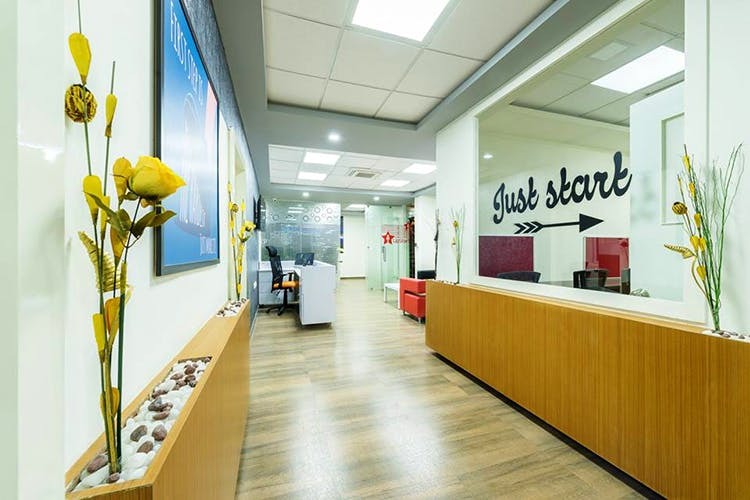 And Upstart, a co-working space located close to the Forum Neighbourhood Mall, is perfect for when you need an office address on a budget. Hot desks here begin at INR 6,000 (a steal when compared to the certain other swanky options) and you can rent your own office space starting at just about INR 22,500. For this, you get a laidback space, with a few artistic flourishes, to work out of. High-speed internet, access to conference rooms and hot, hot coffee are also part of the offerings. The terrace area is a relaxing setup (complete with a pool table) and you can host events here or just kickback after a hard day’s work. If you are looking for a reserved desk or an office space on a permanent basis, they are happy to discuss prices and offer discounts.